Derek “Deek” Diedricksen had an opportunity to visit Henry David Thoreau‘s cabin yesterday and posted a video tour of the famous little cabin on YouTube. Deek is the author of the book Humble Homes Simple Shacks… and micro house creations like the Boxy Lady. This entry was posted in Video and tagged Boxy Lady, Deek, Derek Diedricksen, Henry David Thoreau, micro house, walden. Very nice tour. Thank you. At least he did point out that it is just a replica. The hot dog stand however, is the original. Walden did actually walk into town regularly and was not as isolated as people might believe. It wasn’t his land either, he was squatting on Ralph Waldo Emerson’s turf. 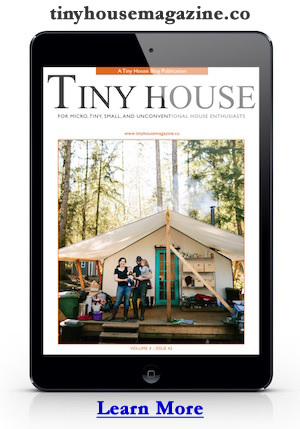 Try Lester Walker’s Tiny, Tiny Houses. There are drawings and details, if not actual plans. Also, there are other designs that are of interest. Planning on building small camp on small lake in NH. LOVE THESE PLANS !! All we want is a get-a-way place that’s easy to keep and cozy. Again, love these plans ! !